SNP MSP for Greenock and Inverclyde, Stuart McMillan, has demanded the UK Tory government end the pension injustice for thousands of women across Scotland. Speaking in a Scottish Parliament debate (3rd April), the local MSP challenged the Prime Minister and Work & Pensions Secretary to support those who have been adversely affected by the acceleration of the change to their state pension age. “Politicians from the pro-union side of the constitutional debate have argued that the Scottish Government and the Scottish Parliament have the powers to do something about the WASPI situation. There have even been suggestions that we should top up the pensions, but those suggestions are disingenuous. 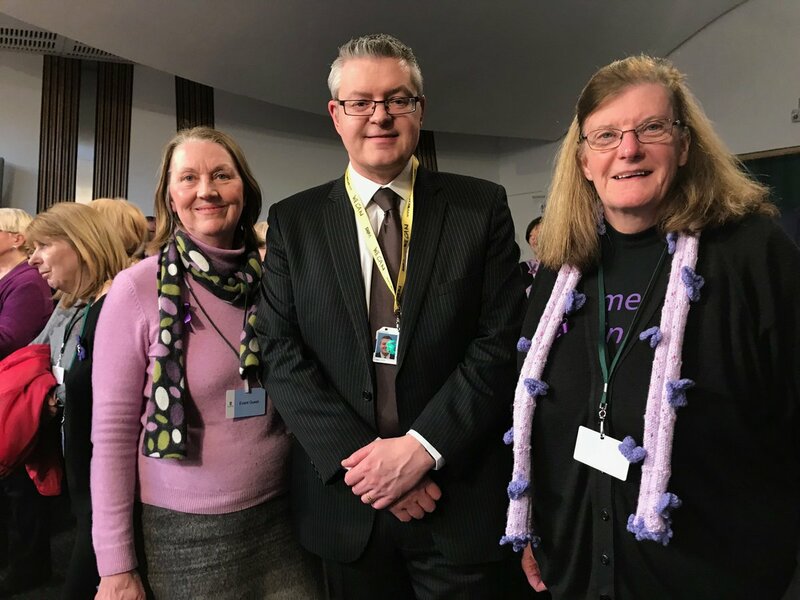 Following the debate, the Greenock and Inverclyde MSP met campaigners at a WASPI event in the Scottish Parliament, including Chris and Marion who share Stuart’s surname (McMillan). Watch Stuart’s full debate here.